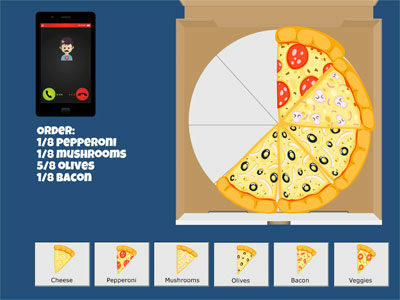 In “On Time Pizza Express” your child builds a pizza based on an order placed by one of our hungry customers. Each time an order comes in, the child must figure out the correct number of slices that make up the requested fraction. 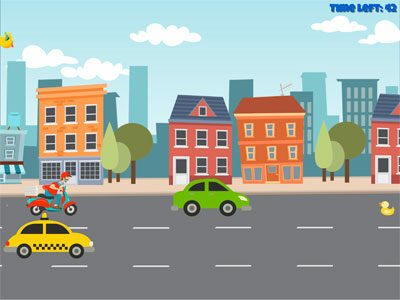 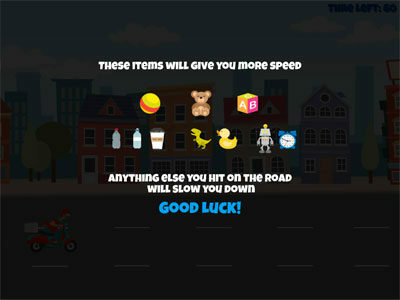 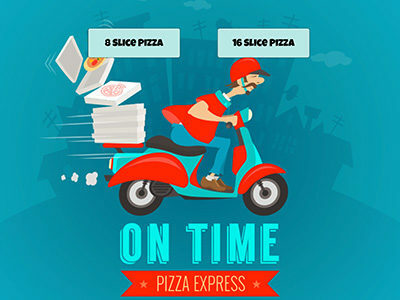 Once the order is complete, they hop on their delivery scooter and race through town avoiding traffic and other obstacles, while picking up special items like a toy or a drink that makes them go faster and faster. 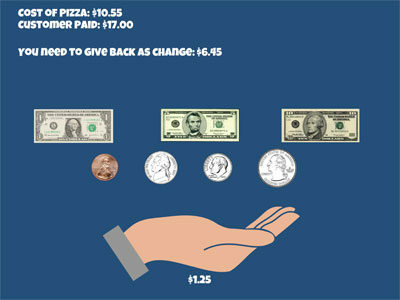 At the end of the delivery, the child gets to practice choosing the right coins or bills to make up the change to give to the customer… then it’s back to the pizza place to handle another order.